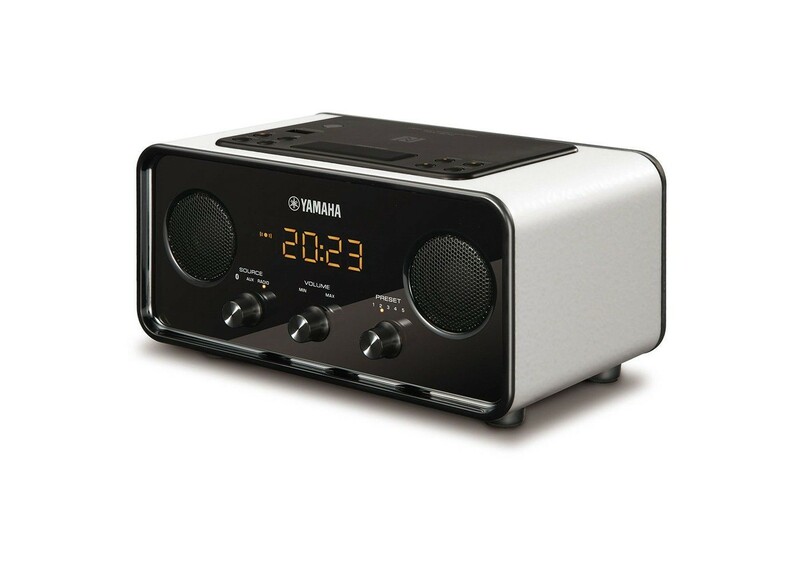 Created for modern living, with a touch of retro design appeal.A clock-radio, an alarm, a wireless player for your smartphone – your life in perfect time with your music. With its classic look and powder coat finish, the TSX-B72 lends contemporary elegance to any living space. And thanks to its compact size, it fits just about anywhere. Yamaha's unique SR-Bass technology delivers full-range audio with rich, deep bass. Stream music wirelessly from Bluetooth-compatible smartphones, tablets and computers. Devices with near field communication (NFC) functionality can be connected with one tap for hassle-free pairing. Yamaha’s unique IntelliAlarm feature wakes you up gradually and pleasantly. Three minutes before the alarm sounds at the time you set, the radio starts to play. The sound fades in gently, filtering out high frequencies at first, then gradually fills out the entire audio spectrum, allowing you to wake in a natural and relaxing way. It’s a great way to start your day! Install the free Yamaha DTA Controller app on your smartphone or tablet to turn it into a full-function remote control for all the IntelliAlarm features, including setting up flexible per-day alarm times and radio presets, as well as customizing fade-in times and frequency curves. Naturally, you can also change radio channels and adjust the sound – all from an intuitive and friendly touchscreen interface.The app will be periodically updated for additional functionality.